Explore our community of conveyor industry professionals. Learn the benefits of becoming a manufacturing member of CEMA. 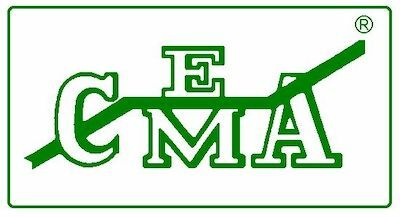 Join our growing community of CEMA members and learn the benefits for your business. Learn the benefits of becoming a technical member of CEMA. Stay up to date with industry-specific books and standards. Learn about industry-specific publications and external resources. Download free technical documents from the CEMA community. Including safety labels and guidelines, posters, videos, and more resources. CEMA reported that its April Booked Orders increased 5.34%! 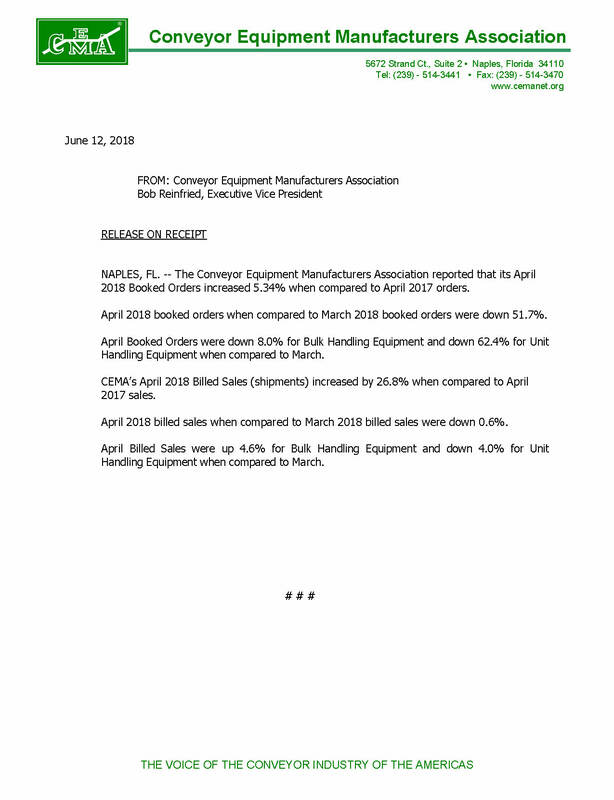 NAPLES, FL – The Conveyor Equipment Manufacturers Association reported that its April 2018 Booked Orders increased 5.34% when compared to April 2017 orders. April 2018 Booked Orders, when compared to March 2018 Booked Orders, were down 51.7%. April Booked Orders were down 8.0% for Bulk Handling Equipment and down 62.4% for Unit Handling Equipment when compared to March. 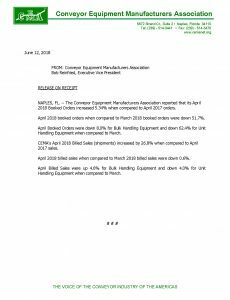 CEMA’s April 2018 Billed Sales (shipments) increased by 26.8% when compared to April 2017 sales. April 2018 Billed Sales, when compared to March 2018 Billed Sales, were up 0.6%. To review the last year’s statistics, click here.